Funny but right-on motivational. 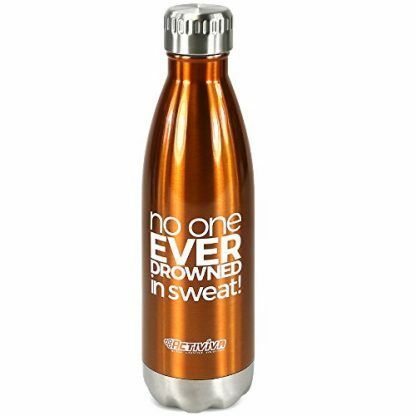 It’s what the print says on this insulated bottle for cold and hot drinks. 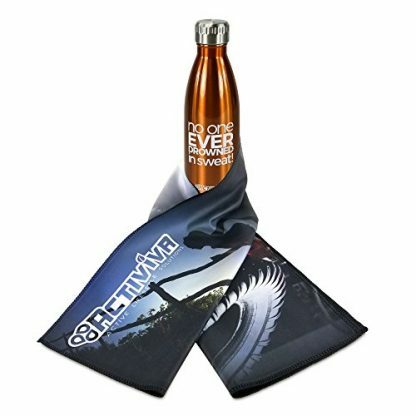 The bottle even comes with a cooling off towel. 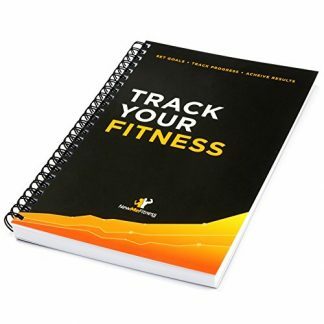 It’s the best practical gift to give your personal trainer who makes you workout like there’s no more tomorrow. 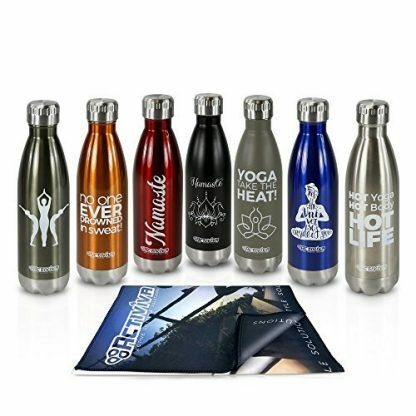 Activiva’s Yoga Water Bottles are definitely not just for the yoga people. They are the perfect pair to personal trainers who have that active on-the-go lifestyle as well. 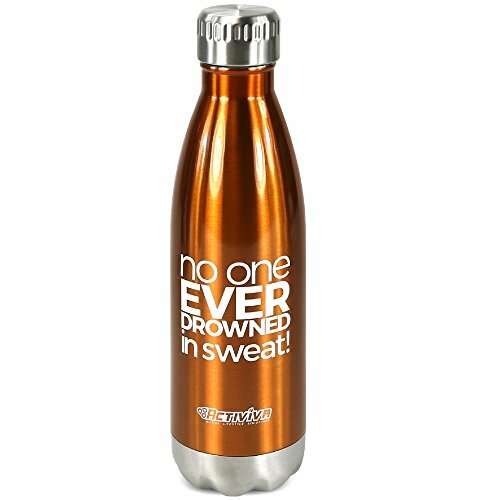 It’s a stylish way to keep the body hydrated. Available in five different colors. Each color also showcases a different design and quote from the other. Grey – Yoga take the heat! The double wall insulation keeps the bottle from sweating from the cold beverage inside, nor from burning the hands if the beverage inside is hot. 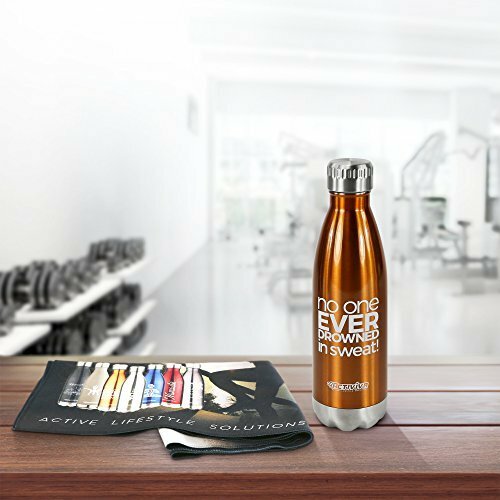 The bottle comes with a vacuum sealed cap to guarantee no leaking of the liquid. It is easy to remove and place back on. Its narrow opening makes drinking easy and avoid spillage, but allows ice cubes to fit right through. The cap is guaranteed to be BPA- and Phthalates-free. 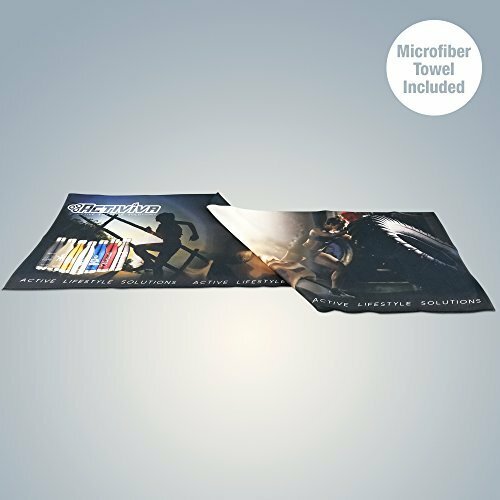 Package also includes 1 microfiber cooling towel that’s anti-bacterial to ensure that it is odor-free. The towel is made of superior quality microfibers. It is very absorbent, easily dries, and handy. Hand washing is advised for the bottle. The towel is machine washable with cold water ONLY. The seller offers a 30-day, risk-free, and 100% money-back guarantee for the customers. They guarantee a full refund if the buyer finds the product less than satisfactory. Thank yous are good enough to express your appreciation to your personal trainer. Additionally, they do not expect gifts from clients. But you know those words aren’t enough to express how you appreciate them. 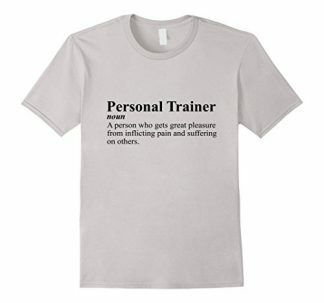 Grab this awesome gift item now for that awesomely patient personal trainer of yours.